Count on the “Grade A” kitchen renovation contractor in Toronto – VCG, to give your kitchen a fresh new look. The kitchen is one of the busiest areas of your home, which makes kitchen renovation a must after a couple of years. A kitchen renovation is usually the first space that comes to mind when it comes to home upgrades. Your kitchen is the heart and soul of your home, where you prepare delicious meals for your family and friends. That’s why it deserves special attention and care. 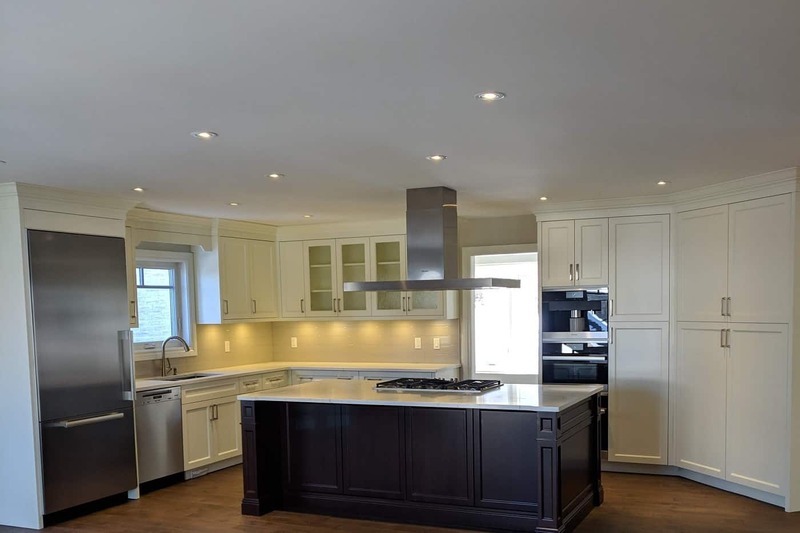 So, when looking for someone to renovate your kitchen, choose the top of the line kitchen renovation contractor in Toronto – VCG. At VCG, our kitchen renovation experts can help your kitchen space get a brand new look and be more efficient, to make it your best investment ever. Most homeowners in Toronto know that using your space efficiently is very important, so kitchen remodelling is more than just getting a fancy new kitchen. It’s a space-saver! With the right help, kitchen remodeling will free up more space by keeping things more organized. Your home will appear much bigger, something everyone in your family will appreciate. Not to mention the increase in property value if you’re considering selling your house in the near future. Don’t hesitate, give us a call for a free, no-obligation consultation. Planning a kitchen upgrade is truly exciting, but it’s important to consider the following before moving forward with the idea. Lifestyle – Ask yourself on how the new kitchen design will fit and improve your lifestyle. Are you an on-the-go person, planning to start a family or a minimalist? Take note of the significant parts of your day-to-day activities in your kitchen so you can include in your new kitchen remodel design. 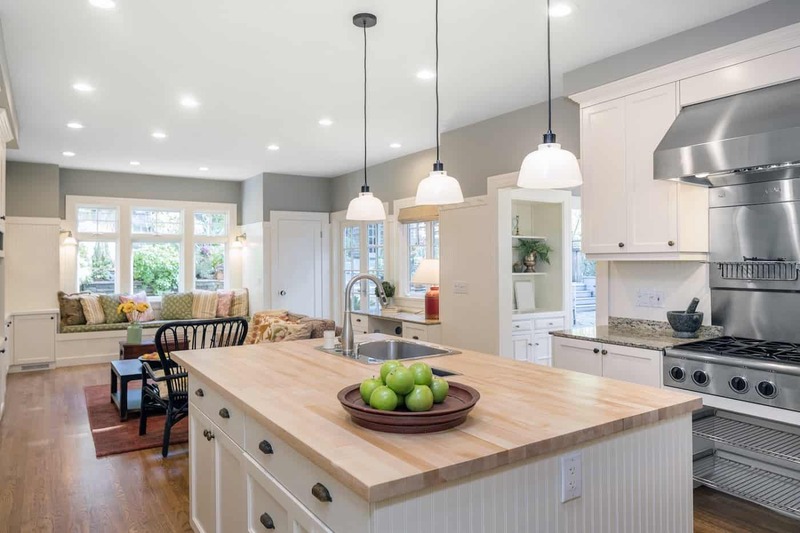 Overall Look – Picture the overall style of your dream kitchen – such as the flooring, the wall, the cabinets design, the colour scheme, the storage space, the countertop space, and the workflow. These are the main features that can help you determine how much the kitchen remodel project would cost. 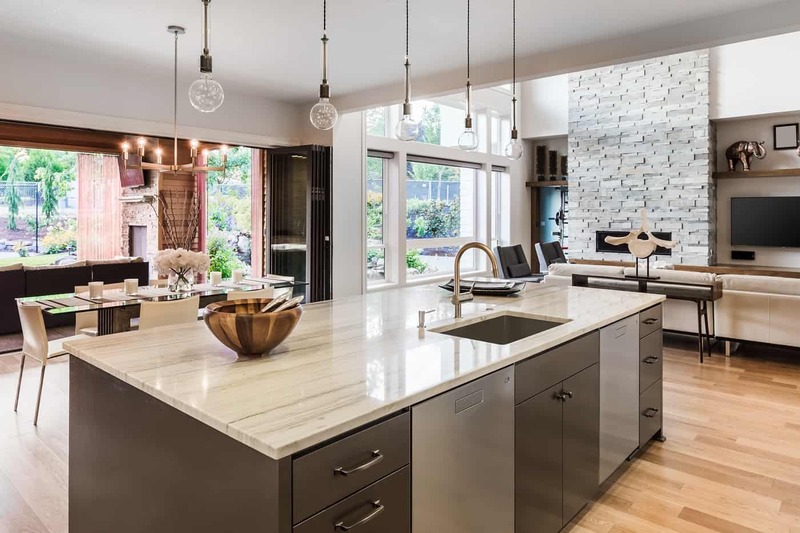 Some of the most popular kitchen styles in 2019 are Minimalist, Contemporary, Modern, Industrial, Traditional, Scandinavian, Hollywood Glam, Coastal, and Rustic. But you have the full freedom to choose any style you like. Existing Layout – In addition to picking the style and the design that you want, also consider the current layout of your kitchen especially your plumbing and electrical installations. Changing the water and power lines can cause additional expenses. That’s why it’s recommended to consult with an experienced kitchen renovation contractors who can share professional recommendations with you without breaking your bank. Appliances – Make sure your appliances fit well and complement your the new kitchen layout. The style, colour, and size of each appliance should enhance the overall design of your dream kitchen. 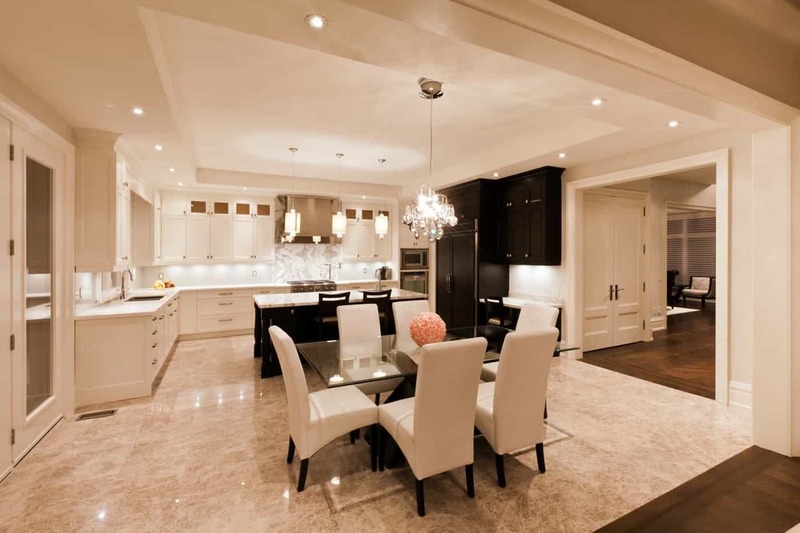 Contractors – Find a reliable kitchen renovation company in Toronto who will manage all the permits, the demolition, and the garbage disposal for you. Getting the kitchen of your dreams doesn’t have to be a stressful experience. 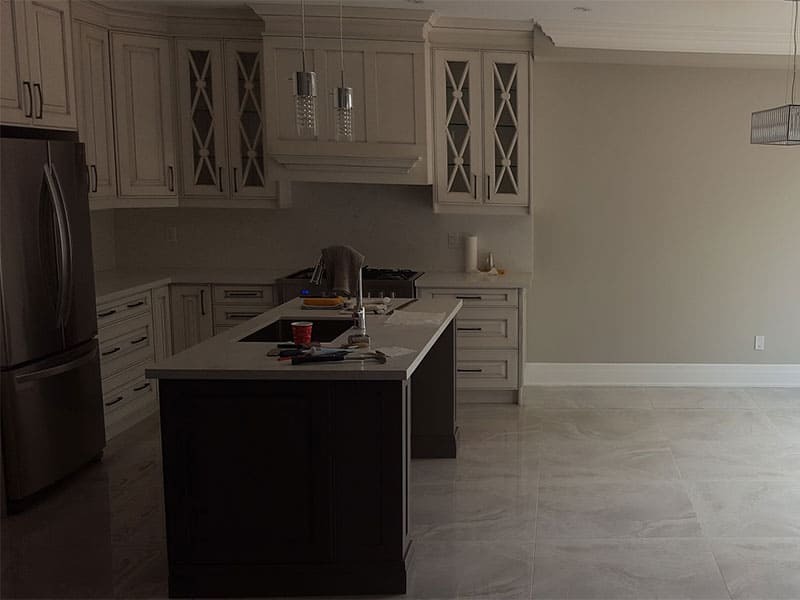 If you are still unsure what you want or have any questions, feel free to reach out to our Toronto kitchen renovation team by phone or email. Consult with VCG, for free, no obligations. Kitchen renovation cost varies depending on the specific needs of your kitchen. There are many cost-effective kitchen remodelling ideas we can help you with. 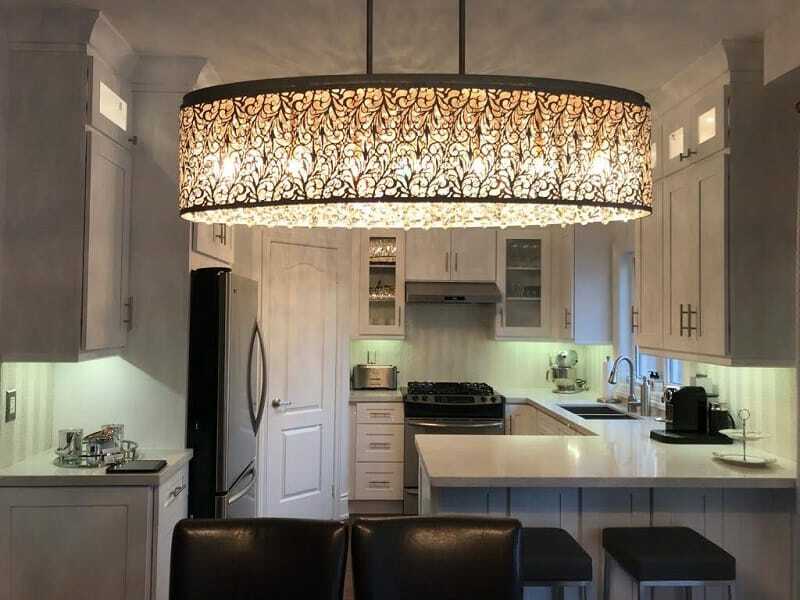 For example, if you are going for the minimalist style, you might only need minor changes such as the lighting fixture upgrade, kitchen cabinet colour changes, or kitchen cabinet refacing. These changes can do wonders for your space and can stay within a low budget at the same time. On the other hand, if you want a total kitchen transformation such as opening up your kitchen, tearing down walls to make more space, install new cabinets and appliances, it would cost extra. It’s important to remember that kitchen renovations is one of the best home investments, so always consult with a professional team before proceeding. Most of the time, researching online is not enough and can cause further confusion. Speak to one of our kitchen renovation experts today and get a free consultation. Found your ideal IKEA kitchen products but not sure how to set them up? VCG kitchen renovation experts are experienced with IKEA products and can help you with the IKEA kitchen remodeling. From planning, measurements, and design to assembly and installation. Your IKEA kitchen will look just the way you want it! As more and more people in Toronto move into a condo, kitchen renovation for small spaces have become popular over the past few years. However, not many kitchen renovation contractors have sufficient experience in dealing with small kitchen renovations. Most lack of creativity to help maximize the efficiency of your kitchen space. This is where Vata Construction Group shines. We have over 15 years of experience in kitchen renovations in all types of environments. No space is too small or too big for us. We believe that having limited space is not an excuse to not live in style. Vata Construction Group can transform your current kitchen into the best kitchen of your dreams; all within your desired budget. 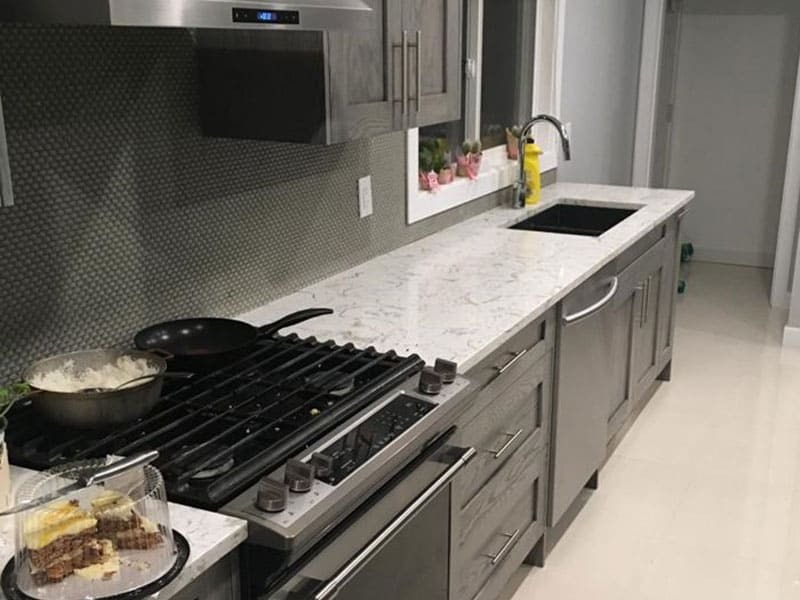 Whatever you need, whether looking to add flair to your countertop, set up a functional kitchen island, add some tile backsplash, create an appliance garage, or completely upgrade your kitchen from floors to ceiling, you came to the right place. Get the expert kitchen renovation contractors to revamp your kitchen into a place your entire family will love. Call us today for free in-house consultation. No documents to sign. 100% free of charge. No obligations.